Three years ago I came across a blog post that resonated with me deeply. At the time I shared it on this blog and with friends, but as we start a new year I'd like to take a moment to share this story again. 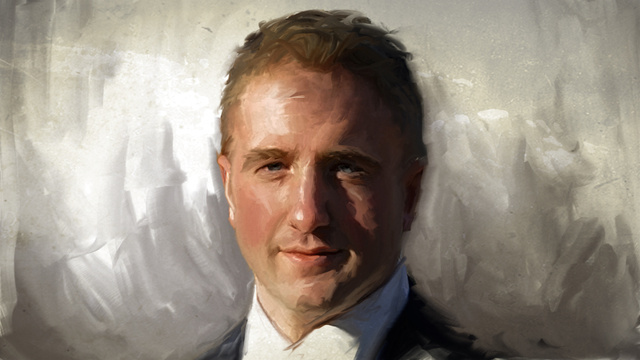 Bill Zeller was a talented programmer whose work was featured on Lifehacker. He took his own life on Sunday and left an explanation that I think it's important you read. His story is about an inner demon, a life that was tormented. In the end he felt the only option was suicide. It is hard to sometimes discuss how I feel about suicide. I attempted more times than I like to think about, but in the end suicide is the one thing that I am truly terrible at. My first attempt was around 13, at 16 I overdosed on prescription medicine and ended up in the hospital in coma, the first thing I remember was waking up in a mental hospital. And feeling very sick. I sometimes relive the experience in my dreams (more like nightmares). At 18, I attempted again but was stopped by my boyfriend (who also saved me at 16). And then at 24 I hit a wall. I had been depressed and was put on Paxil. every time I told my psychiatrist I was still depressed she raised my antidepressant. I was put on a dose that was higher than recommended and the consequences were drastic. After a month on Paxil I become hypomanic. The hypomania and mixed state lead me to attempt suicide again. This time I picked up a gun and tried to shoot myself, but the gun jammed and I was once again found by my husband who broke down our front door to get to me. And then I became manic. And next came 8 full days of no sleep. Severe sleep deprivation lead to psychosis. I was lost. I was lost in my own world. I experienced hallucinations and grandiose thoughts. I can't begin to explain what it is like to lose touch with reality. After about 5 days I had a moment of clarity and realized I could not go on like this and something was very wrong. So I checked into a psych hospital. Well, I tried to check in and then I was involuntarily placed in the hospital on the Baker Act. What I discovered was the mental health community is not really nice to people who have been put in the hospital by a doctor. In fact, some were abusive to those of us waiting for a court or doctor order for our release. The hospital put me on so many drugs to control the mania that I couldn't walk. And then some staff made fun of me. Next I had a seizure and then the staff told the ER that I was faking. I'm not sure what kind of health care professional would treat someone like that, but they did. My husband and therapist fought for 3 days to get me released. My world was forever changed. I lost trust in almost everyone. I had a tremendous amount of despair, but the worst part was how I felt about myself and my place in the world. For years I had suicidal idealization. I thought about death every hour, but I lacked the follow through to try. After my stint in the hospital I thought about it more. I wanted to fall asleep and not wake up. I wanted to run away and never come back. I feared that life would never get better but most of all that my family and friends were better off without me. And that feeling has never truly left. I worry that my illnesses will have a terrible impact on my daughter. I worry that in 6 short years she might develop early onset bipolar disorder and I don't know how I would feel if she did. There are both good and bad things about a life of struggle. The good is that the darkness gives a different perspective to life. And I value the experiences I have had both the good and bad. And the bad have been really, really bad. But most days the good outweighs the bad. Three years ago I was put on Topamax (also known as Dopamax). My time on that medicine wasn't easy. My amazing hyper-memory has been lost forever. It is much more ordinary. I did discover the benefit is that I finally let go of bad experiences. I stopped having nightly vivid dreams about the bad things. I stopped having flashbacks in the day. Now I very rarely relive the past. And I am grateful. But I think at times I have also lost some of the good memories. I finally realized I had to recreate those memories with my daughter. And I think it has worked. I have even regained my flashbacks about happy childhood events and the bad ones, they just disappeared. So tonight I sit here and contemplate what could have been. Why was I unsuccessful at suicide. What was the impact on others from my previous actions and how do I use the experiences to make the future more positive. I don't have all the answers, but I do know that I wish that Bill Zeller would have talked to someone about his demons. I wish that I had known him. I wish we could have talked. I hope that his soul was at peace and he was reborn in the land of pure light. (This is a Buddhist reference). I wish you all the best for 2014 and beyond. I think that January is my favorite time of year. The new year signals a new chance to make positive changes, a fresh start, a clean slate. 2013 was a tough year. I had numerous health challenges with three health issues: The biggest issue was my migraines which lead to a cycle of depression which contributes to a lowered immune system. Personally 2013 was a year of disappointments. My daughter turned 6 last month, she's in kindergarten. And honestly she is one amazing kid. She is smart, but most importantly she has an amazing ability to connect with people, to read their emotions and a strong desire to help others. Every day I realize how lucky I am, especially consider the challenges I've faced. I finally realized that I don't need to worry so much about being a mother. I sometimes obsess over all the things I do wrong. I worry that my daughter will grow up and face my same struggles (and demons). But when I really think about my life and my daughter I realize the most important thing is that we try to do our best. I try to be a good mom, wife and friend. This year I found a new therapist. I finally decided to take my own advice and start therapy again. I am happy to say that my new therapist has made a huge impact on life. I've drastically changed the work that I do, I have cut back on the work that is stressful and unfulfilling and I took a new consulting gig with a non-profit. I continue to run a consulting business and work with my husband on growing our manufacturing business but now I am following my passion. I never expected the results I have gotten. In December I was debating what to do with work, volunteering and life. I finally decided I needed to find work that felt meaningful, where I could make a difference and the most important thing work with people who made life easier and not harder. For over 10 years I have been a volunteer with an organization for women. It is my passion, it is what drives me to get up in the morning. And I work with amazing women. And now I even get paid for it. Deciding to do work that makes me happy has had an amazing ripple effect. Since I made the decision I haven't been depressed or had a migraine. For me that is amazing. I also have not been hypomanic. And I'm ready to tackle the decision to have a second child. I've wanted to give my daughter a sibling but my physical and mental health have made me worried about my ability to manage a pregnancy. I also still worry about how I will feel during pregnancy. I was super stable from a mental standpoint, but I was physically sick. So sick that I almost lost my baby and then was on medicine from week 7-39 when she was born. And I just don't know how I would manage a pregnancy, an active kindergartner, work and being a wife. I'm no longer a spring chicken. I turned 35 this year. And I know that the clock is ticking. So I have 8 months to figure it out. Do I go for baby number two or do I adopt or are we happy as we are. I honestly can say my family is amazing. My daughter is an inspiration and delight. My husband (of 17 years) is my rock. Wish me luck for 2014 and tell me what a new year means to you. I hope that you have an amazing year. I look forward to hearing from you via comments or email. Are you Interested in a Bipolar Mom, Mom-to-Be Support Group? We've done a few support group calls, but we had a lot more RSVPs than actual attendees. So I'm not sure if I should schedule another one. I find support groups very helpful. The make me feel less alone, more confident in overcoming challenges, but most importantly I meet amazing women who are like me. They struggle and triumph with manic depression / bipolar disorder. Having bipolar disorder is a challenge for everyone. It is even more challenging I think for a mother. I hope you all want to talk soon. Have a Happy Easter and Wonderful Passover. UPDATE: I've been sick with a bad stomach bug and wasn't able to start the week of the 20th. We can start as early as tomorrow if we have at least 3-5 participants who will definetly make it. Please either email me or take the Doodle Poll on the times you would be available for a call. I'd like to know what day or the week and times are good. I have started a Doodle Poll to find out the best time. All times are listed in Eastern and the call with last for about 1 hour.